For large companies, hiring people to clean for them may not always be the best move to take. It is not only very expensive but it also doesn’t guarantee that you will get the best person for the job. Since the company may not be engaged in the cleaning line of business, they may not understand what to look for in hiring cleaning personnel. For such companies where it is cleanliness and neatness directly affects the company’s performance, it is important to look for a specialist that understands and is able to deliver quality cleaning services. This is where janitorial companies come in. Janitorial companies are solely dedicated to cleaning services. This means that over the years, they have accumulated great skills of executing a cleaning job through experience. This means that hey kind of services that they deliver will in most cases if not always be unmatched by any other. A good janitorial company is one that has been in the business for many years since it has a lot of experience in cleaning jobs. By hiring a janitorial company, you are guaranteed of hiring the right skill set for the cleaning job in your company. Hiring a cleaning company will, in the long run, save you a lot of money. One of the best things about well established janitorial companies is that they will provide all the necessary equipment that will be required for cleaning, for instance, vacuum cleaners, shampooers among others. This means that you will not have to invest in such which would otherwise be the case if you decided to hire your own cleaning staff. The only thing that may be required from you is to buy the cleaning products like soaps and detergents. This is way cheaper compared to buying all other cleaning equipment. A great janitorial company hires only the right staff for the job. This means that you don’t need to go looking for people to hire to do the cleaning work for you. Janitorial companies are experts in the field of cleaning. This means that whoever is hired to work for the company has to be qualified. They are well-vetted and are fit to work for you. This also means that they already know how to work with cleaning machines and other equipment. You will, therefore, need not incur costs in terms of both money and time to train them. They already have the right skills for the job. This will also mean that you won’t need to supervise them closely as they already understand what is expected of them. A great janitorial company does not only specialize in one job. 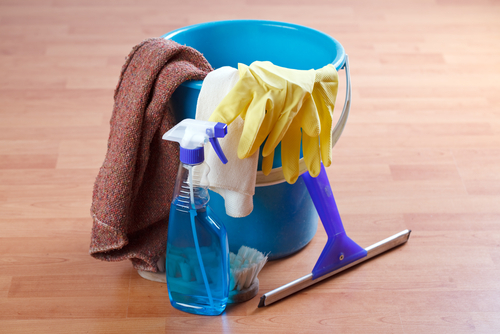 For instance, you may find that a janitorial company offers more than just cleaning services. They may offer services like painting and catering. This means that I the event that you have a need for a service that the janitorial company offers, you may not need to go looking for other companies. In case you are satisfied with the services that you receive, it will be the first company that you turn to. This is a great thing since the two of you have already established a bond; it will be quite easy to execute that other side contract like a painting job. In the event that the janitorial company does not offer the service that you need, they might give you a useful referral that may have the right skill set. A company that doesn’t deal with cleaning works but where cleanliness and neatness are crucial may not always know what to do when the staff hired for cleaning are not efficient. It might end up concentrating a lot of its effort in ensuring that the office premises are kept neat and clean. This might end up affecting its performance and productivity. Hiring a janitorial company, however, will help solve the whole issue. Since the janitorial staff will not require a lot of supervision, the company’s top management will have more time in developing strategies that will be beneficial to the organization towards productivity. A good janitorial company will help a company by coming up with great cost effective ideas. Since they are already in the cleaning field, they already understand what goes on there. For instance, in the event that a company needs to buy a cleaning machine, a janitorial company will be best placed to advise them on such an issue. This will go a long way in helping the company save on cost. A good janitorial company will have trained its staff o the safety precautions that they need to undertake in carrying out their duties. This means that they will know what to do in a crisis situation. When it comes to the use of chemicals, they understand what they can use and that which they shouldn’t. They also know the emergency response in the event of a fire and other emergencies. This may be crucial in saving lives. In Singapore, hiring a janitorial company helps shifts the burden from the company. Since the janitorial staff is not on the company’s payroll, it means that they are not the company’s responsibility. This helps shifts the burden of remuneration and pension plans, insurance policies, tax compliance and any other issue that revolves around company employees in Singapore. 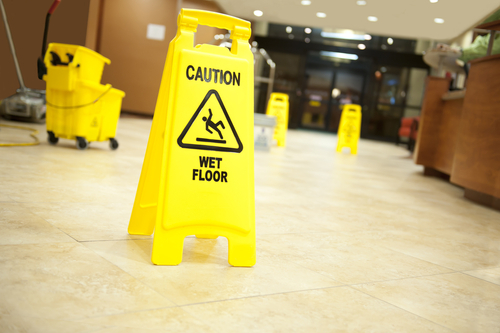 The above are some of the reasons why janitorial services are required in your company. Therefore, the next time you are out of cleaning staff, or when the staff you have in place are not doing a great job as you would expect, you may want to consider hiring a janitorial company for better cleaning services.